Think. Grow. Eat. : The light returning. "114 million years ago, conditions on Earth were most likely not yet favorable for flowers. Yet the first flower ever to appear on the planet opened up to receive the rays of the sun. A critical threshold was reached, and suddenly there was an explosion of color and scent all over the planet. As the consciousness of human beings developed, flowers were most likely the first thing they came to value that had no utilitarian purpose for them, that is to say, was not linked in some way to survival. Humans feel such fascination for and affinity with flowers’ ethereal qualities. They have provided inspiration to countless artists, poets, and mystics." The arrival of the first blooms in spring, following a dark leafless winter makes me appreciate their beauty and wonder as if for the first time. On a less philosophical and more practical note, we are now starting to plan our growing season. Bed plans, succession timetables and seed orders are coming together indoors while outdoors we continue to move compost and manure on to beds. We have ground to a temporary halt with the greenhouse project as we're waiting for our friend to return and finish the last bit of brick-laying - having paused to deal with a bit of subsidance in one corner. It always amazes me to find that these huge static buildings which feel so permanent and strong can be moving in their own way.....and sometimes sinking! Hopefully we've fixed it. I have finally got around to creating a companion flower bed next to the raised beds which I will be able to appreciate from the kitchen window as I cook. The concrete-block beds are not the prettiest of features, so I'll be very happy to look out at nasturtium, calendula, tagetes chammomile and others instead. So far we have planted in some bulbs and rhizomes which Doug bought with him when he moved from Edinburg 7 years ago and have been languishing in pots since then. 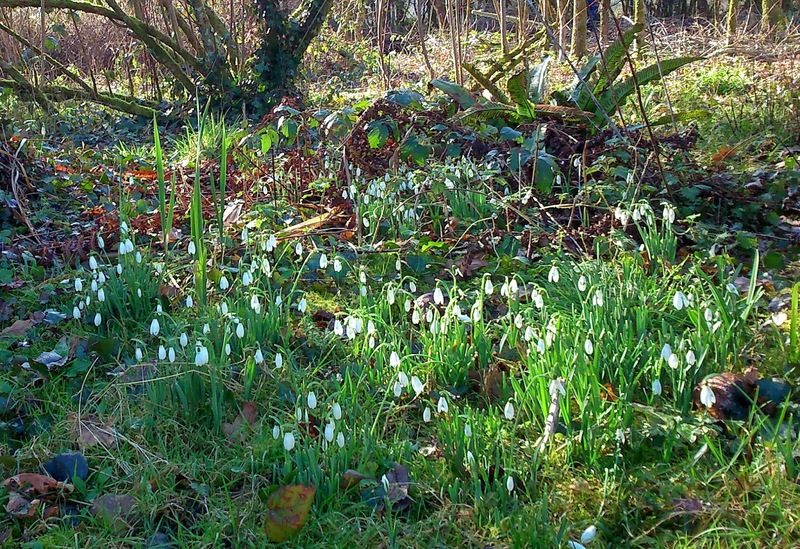 These include wild crocuses, yellow aconites, star of bethlehem, snow drops and irises to give us a first flush of colour in the late winter. There will be a bit of a time gap between the bulbs and the summer companion flowers so I'll have to find something else for the spring and early summer. I love flowers and I love the opportunity to indulge myself and play around with them, but all of my experience is with vegetables, so I'm still learning. I'll have to resist the temptation to fill in all of the gaps with vegetables! Something I am very excited about is pulling back some of the mulch we've had down now for a year and a half. 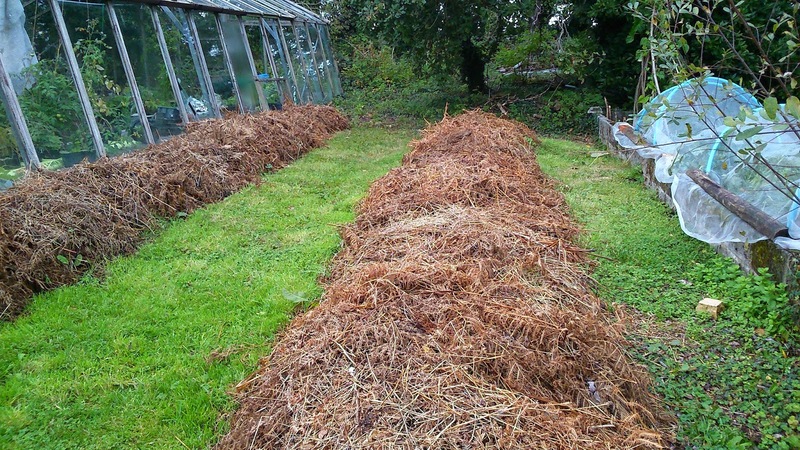 We did a 3 layer organic mulch to open up some ground for root crops, creating 2 long beds next to the block raised beds. We refreshed the mulch last summer and the soil beneath was already beautiful, black, crumbly and soft - heavenly compared to what we have in the raised beds. It will be like unveiling a work of art when we peel it back in the spring and I can't wait to get sowing into it! We will try carrots for the first time since we've been here. 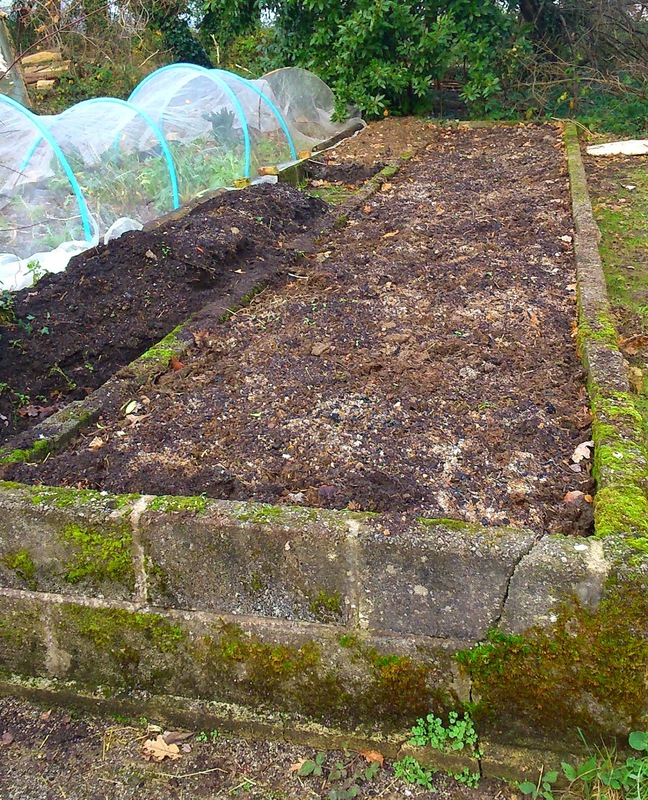 When we arrived here we found several long raised beds which had vermiculite and leaf mould in them, but nothing else. Beneath that was a solid layer of yellow clay - hard as rock. So we've had the challenge of filling the beds with whatever we have available to us on the land - compost, leaf mould, manure, ditch scrapings, pond sludge and spent potting compost. In general gardeners tend to feel organic matter is all that matters, and we routinely add it to our soil to replenish nutrients. But having been disappointed by the under performance of our vegetables year on year, we realise that we have nothing but organic matter. We are in the strange position of needing to add soil (mineral) to our organic matter. So I've been looking into rock dust as a way of remineralising the soil and there is a lot of interesting stuff to be found online on the subject, although mostly from North America or Spain. While hunting out something more local I found a funny little local news clip from Scotland on youtube, which is worth watching simply to make me feel better about the Dartmoor climate! It seems that while rock dust is readily available to buy, it is actually possible to make our own by collecting rocks from the land and crushing them with a sledge hammer. A good job to do when feeling a little stressed! Meanwhile Doug has been clearing a small stand of very young black poplars which have been all but killed off by grey squirrels. The area is a perfect place to put a large fruit cage where we can plant out the many currant bushes and strawberries we've been propagating to be kept safe from the birds and squirrels. Doug is doing his own experimentation with long term composting of the brash and leaves with horse manure (of which we have plenty from our neighbours), so the woods are now dotted with leaf mould and brash composting pens as well as the usual stacks of fire wood being left out to season. Smallholding is like juggling with many balls all in the air at once! 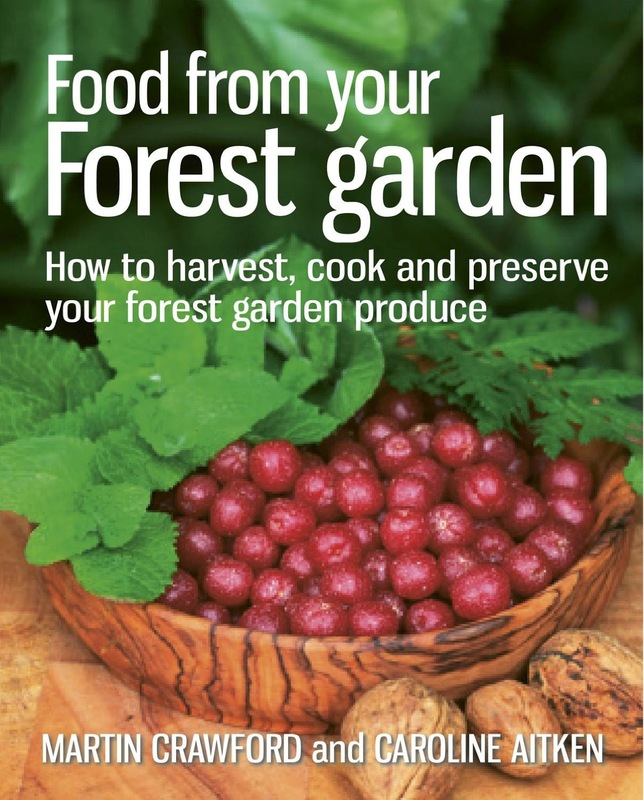 There are so many little cycles going on - the fruit and vegetables seasons, the firewood rotations, the compost heaps with their different ages and 'cooking' times. I love the satisfaction of creating closed loops within our system and finding solutions to probelms we encounter. 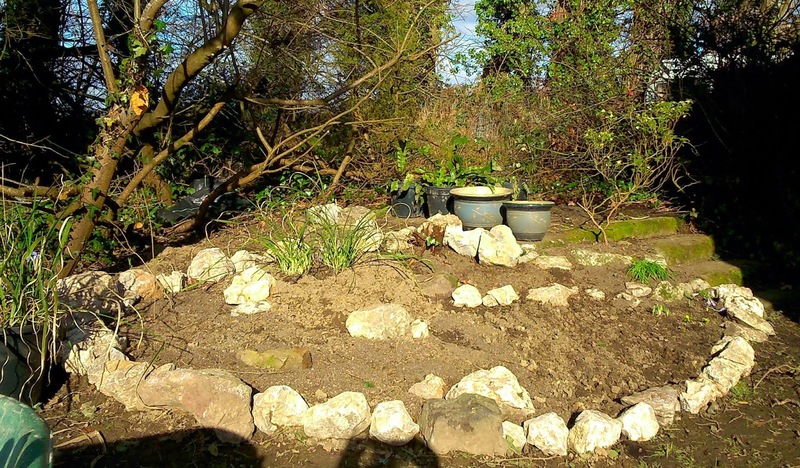 I have written a 3 part series of blog posts all about the permaculture approach to soil, the first 2 parts of which have already been posted on the PWA blog. For me the soil is where it all begins and the more you look in to it the more facinating it becomes. So this year I'm looking forward to experimenting more with aerated compost teas, liquid feeds, green manures and smashed rocks! As always, all tips and recommendations are very welcome.